Envelope 24lb White Wove #9 8.75" x 3.875"
#9 Envelope, 24lb White Wove, 8.875" x 3.875"
Consider this blank envelope your go-to! The #9 Envelope is one of the more commonly used sizes for business mailings. Its 8.875" x 3.875" dimensions make it perfect for correspondence as well as sending out invoices and statements. Made of 24lb white wove paper, it has a crisp look and feels great in hand. 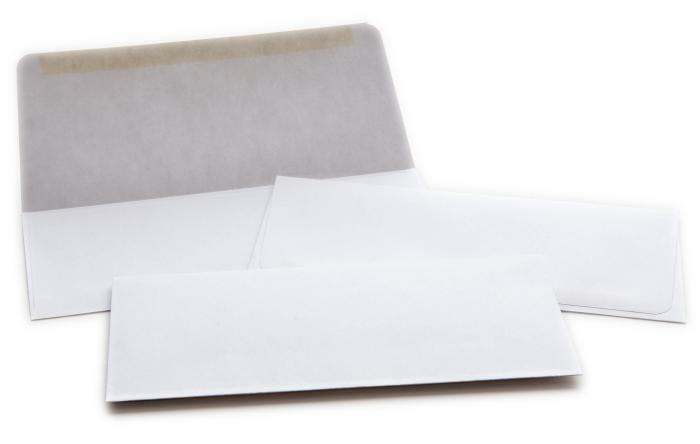 Take care of all kinds of business with help from TicketPrinting.com envelopes.